Media outlets are claiming that NFL players are being alerted to their scheduled drug testing making the drug testing policies and procedures ineffective. The Wall Street Journal (WSJ) claims that Packers head trainer Pepper Burruss alerted Scott Wells after Green Bay's wild-card victory against Philadelphia that the center would be expected in the following day for a drug test. There are two different opposing views - The NFL and The International Doping Community - on letting players know that they will be tested. The NFL accepts the action of giving advance notice of a test on a game day. Adolpho Birch, the NFL's vice president of law and labor policy, said teams are only allowed to give advance notice of a test on a game day because players are often given the following day off. 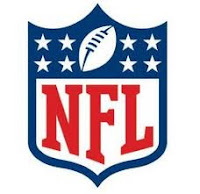 The league's policy states that if a player is notified but fails to show, he could be subject to NFL discipline. Tests are not given on game day because of logistical complications with traveling and other issues. David Howman, director general of the World Anti-Doping Agency, which oversees drug testing in all Olympic sports, told the WSJ. "If you're going to do advanced warning, you might as well not test," "Half an hour is a lot of warning. That's how quickly you can manipulate the tests." Travis Tygart, head of the U.S. Anti-Doping Agency, who provided an interview to the Wall Street Journal said, "It's obviously concerning," and "The world knows you can't give advanced notice for testing for it to be effective." Does alerting NFL players to their scheduled drug test affect the outcome of the game and did it at all taint the Packers win over the Steelers on Superbowl Sunday? Pittsburgh, PA - Mobile Medical Corporation (MMC) is set to provide on-site medical services and drug testing for Clark Construction in Walnut Creek, California. MMC will be responsible for administering initial new hire safety training, providing first responder medical treatment and conducting pre-employment and post-accident drug testing, biological monitoring and other administrative functions. MMC's Operations Manager, Gregg Latsko said, "He is thrilled that Clark Construction, who is one of the major players within the global construction arena, has chosen Mobile Medical Corporation (MMC) as a partner to provide on-site medical services on this multi-year project." MMC has provided on-site medical services and drug testing to Clark Construction's projects at their NCE site in Springfield, Virginia and on a joint-venture with Clark Construction and Hunt Construction at the Army Corp of Engineers San Antonio Military Medical Hospital project.